(IC1). To compensate for the loss of input level, the amount of negative feedback to the audio amplifier (IC7) will need to be reduced. This modification is already incorporated in all models beginning with serial number 704XXXX. 1. Disconnect the power supply and antenna. 3. 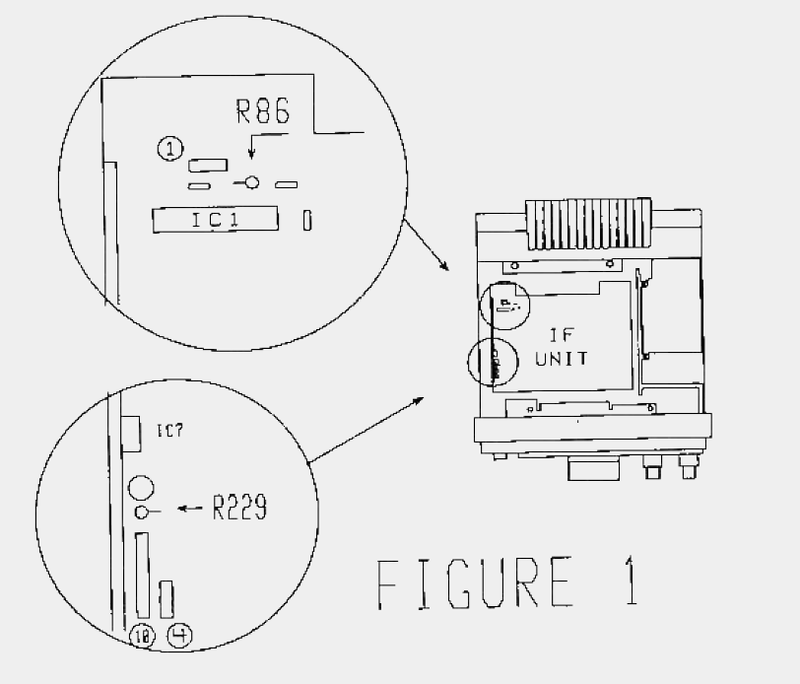 Locate resistors R86 and R229 on the component side of the IF board (Figure 1). 4. Using a #1 Phillips screw driver, remove the 7 screws that secure the IF unit to the chassis of the transceiver. 5. Pull the board up and rotate it towards the front of the transceiver to expose the foil side of the board. 6. Desolder and remove both resistors from the board. 7. Install and solder a 102K ohm resistor in place of R86. 8. Install and solder a 390 ohm resistor in place of R229. 9. 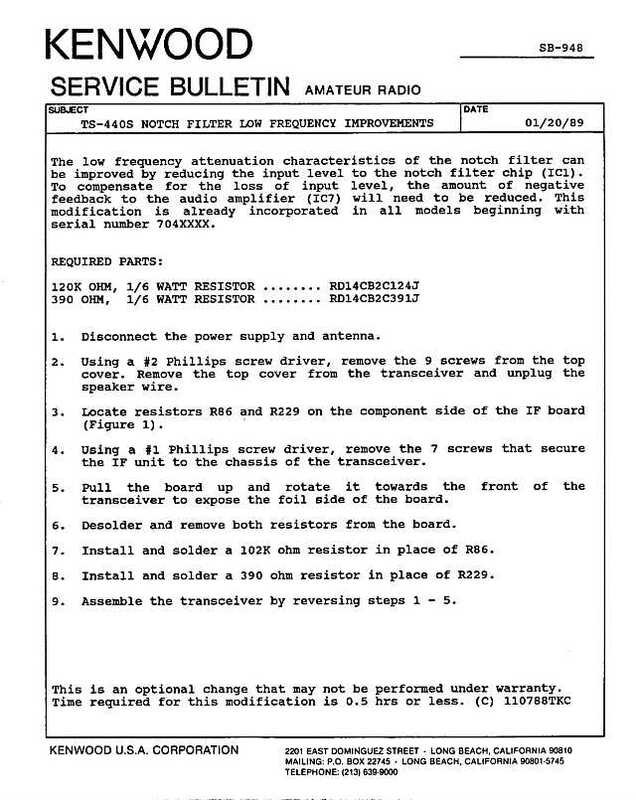 Assemble the transceiver by reversing steps 1 - 5. This is an optional change that may not be performed under warranty. Time required for this modification is 0.5 hrs or less.